Did Marvel edit a character out of its Avengers: Endgame trailer? Eagle-eyed (or hawk-eyed) fans of the Avengers noticed something peculiar in the Super Bowl trailer for Avengers: Endgame — a noticeable absence. There are two shots in the trailer of the Avengers assembled with an oddly asymmetrical gap in their line. Marvel Studios has been known to make digital edits to the shots in their trailers. 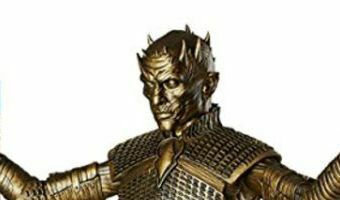 In marketing material for Avengers: Infinity War, several Infinity Gems were edited out of Thanos’ gauntlet, so as not to reveal that he had acquired more than two at that particular point in the movie. So, if you see an oddly asymmetrical gap in an Avengers trailer, you might be noticing something significant — and it happens twice in the latest spot for Avengers: Endgame, released during the 2019 Super Bowl. First, there’s this shot of Black Widow, Captain America, Bruce Banner and War Machine walking across what might be Citi Field in New York City, home of the Mets. 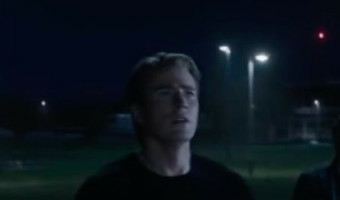 There’s an awfully big space between Bruce and … [Read more...] about Did Marvel edit a character out of its Avengers: Endgame trailer?